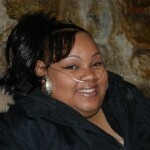 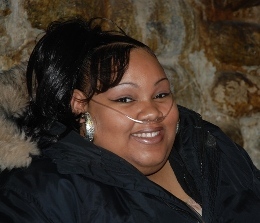 LaJaria Patterson, 16, is afflicted with pulmonary problems. 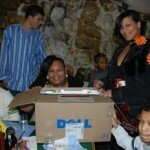 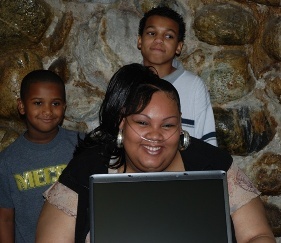 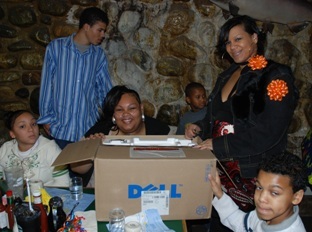 At Gwennies Old Alaska Restaurant luncheon on November 18, 2007, Wish Upon the North Star granted LaJaria Patterson’s wish for a laptop computer, complete with printer and accessories. 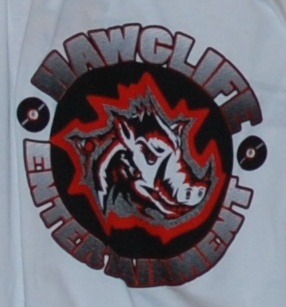 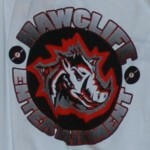 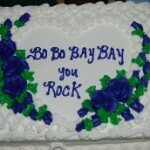 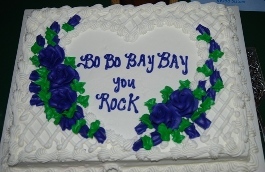 As an extra surprise and because LaJaria likes hip-hop music, a personal song was written and performed special for her by the HawgLife Entertainment group. 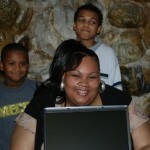 HawgLife immediately volunteered their talents upon hearing about LaJaria and our deep thanks go out to everyone in their group.